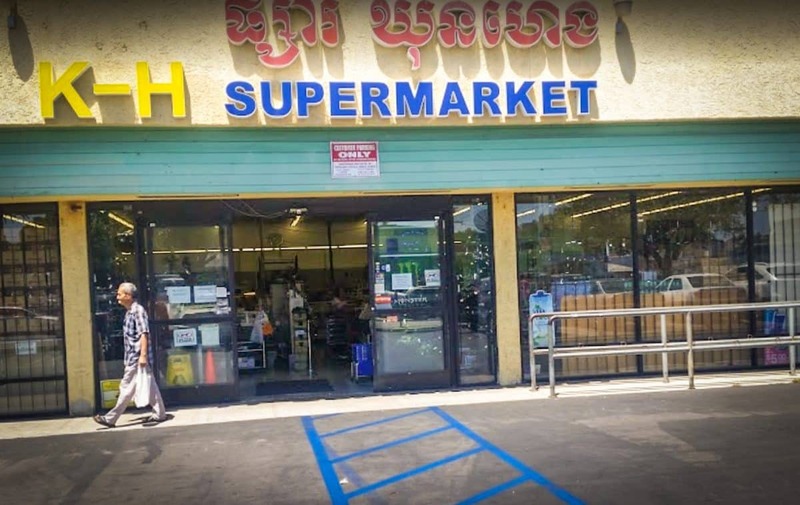 KH Supermarket in Central Long Beach has served the Cambodian community since the 1990s. 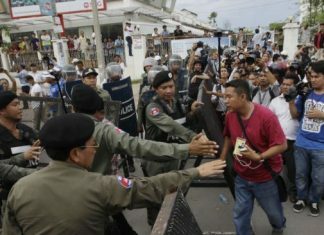 Photo by Youthea Pich. Walking into Kun Heng Supermarket—dubbed KH Market by locals of this central Long Beach neighborhood—one is welcomed by a fragrant wall of pan-Asian delights, many distinctly Cambodian. Akao tnout, a muffin-like yellow pastry with its sweet, has hefty wafts of coconut and palm sugar; anksom jak, a dessert of sweetened rice and coconut milk wrapped in a banana leaf; and anksom sach chrouk, the savory brother of jak that consists of sticky rice is mixed with peppers, pork belly and mung bean. The scents not only welcome but announce KH as a valuable resource for locals, an essential cog in assuring the everyday lives of the Khmer community are filled with those things they need to feel a sense of place, of home.